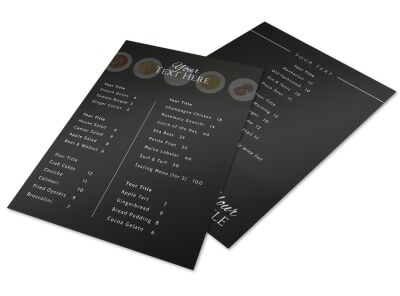 A well-designed menu, whether of services offered, food, or beverages, is a key piece of many business operations. 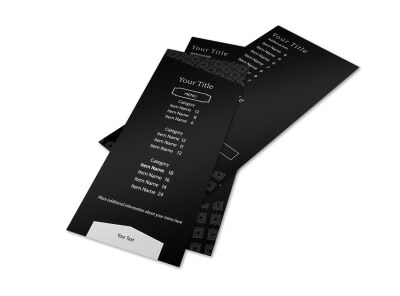 Give your company a leg up when you customize one of our professionally-created, classy generic menu templates, designed to be used by any and all industries. Find the one that speaks to you, then use our online editor to give it your own flair, including logos, color scheme, and fonts. Print yours at your leisure, or enlist our help to have a premium print job delivered right to your waiting hands!